Richard Roth serves as CNN's senior U.N. correspondent and also covers international stories in New York City. Roth has covered the U.N.'s role and responses to the Arab Spring, the unfolding Syrian crisis, the wars in Iraq and Afghanistan and a variety of reports about American politics including the 2008 US presidential elections. His stories have covered personalities ranging from Dominique Strauss-Kahn to Jeremy Lin. Other recent reports include the death of Michael Jackson, the Iran nuclear crisis, the death of Heath Ledger and the resignation of New York Gov. Eliot Spitzer. Since 1993, Roth has reported from the U.N. headquarters in New York City on several international crises, including Iraq, North Korea, Bosnia and Iran. In 2002 and 2003, he reported extensively on the escalating tensions between the United States and Iraq, the weapons inspection process then the ensuing war with Iraq. He also has covered various U.N. global conferences concerning issues such as social development in Copenhagen, women in China and the population in Cairo. For twelve years, Roth hosted Diplomatic License, CNN's global program devoted to coverage of the United Nations. In December 2004, Roth traveled with U.N. Secretary General Kofi Annan to South Asia to cover the disaster and aftermath of the tsunami that took more than 155,000 lives in the region. Roth was reporting for CNN at the World Trade Center in New York when the towers fell on September 11th, 2001. In the wake of the terrorist attacks in New York and in Washington, D.C., Roth reported on reaction from the United Nations. Additionally, he was at Ground Zero in New York City covering President George W. Bush's visit to the scene of the devastation. In 1992, Roth was the host of CNN's special report Murder by Numbers, an in-depth profile of serial killers. In 1991, he contributed to CNN's special report Europe on the Brink: A look at Western Europe's Disappearing Borders. From 1991-1992, Roth was part of the CNN team covering the Gulf War. Most recently, Roth was portrayed in the HBO movie Live from Baghdad. He's reported from Amman, Jordan, and Baghdad, where he was deployed for 65 days, as well as from Tel Aviv during a number of Iraqi Scud missile attacks. In 1990, Roth served as CNN's correspondent at the opening of the Berlin Wall and the overthrow of the communist governments in Czechoslovakia and Romania. In 1989, he covered the Beijing student uprising in Tiananmen Square and the ensuing Chinese government crackdown. Roth also has covered the terrorist attacks on the Achille Lauro cruise ship and at the Leonardo DaVinci Airport in Rome, both in 1985. He reported on the 1980 Winter Olympics in Lake Placid, N.Y., as well as the 1980 Democratic National Convention in New York. Roth is tied for the second longest-serving CNN employee. 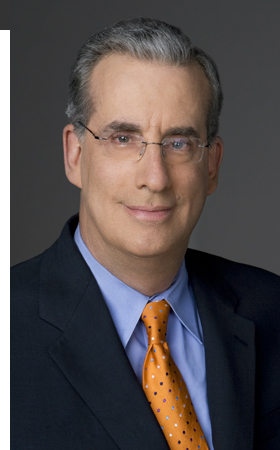 He joined CNN when it launched in 1980 as deputy bureau chief and assignment editor in the network's New York bureau. He served as CNN's New York assistant bureau chief in 1981, the Chicago bureau chief in 1982 and the Rome bureau chief from 1982-1986. Before joining CNN, Roth worked as an anchor and reporter for AP Radio and as a producer for WPIX-TV in New York. Roth earned a bachelor's degree in journalism from New York University.